few weeks ago the people behind the marketing efforts for STAR WARS EPISODE VII: THE FORCE AWAKENS contacted me. 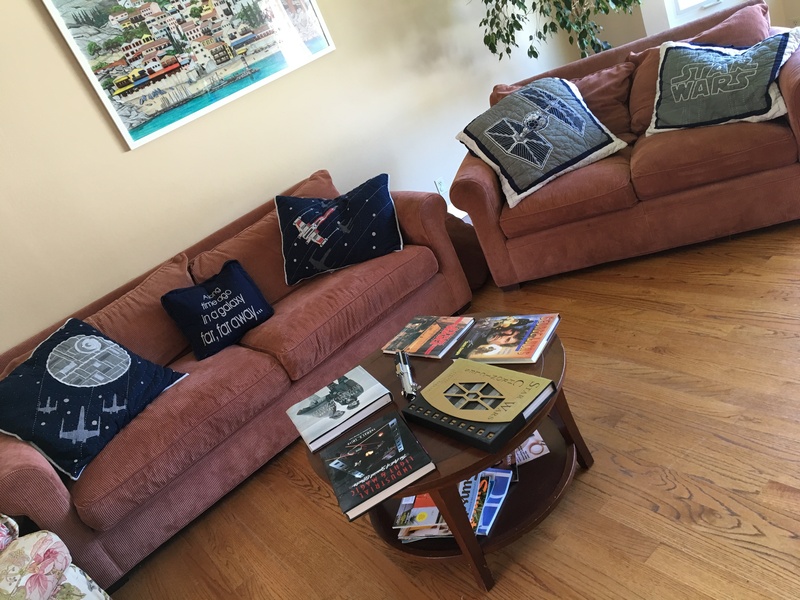 They said they’d like to send me a package of Star Wars goodies, including a copy of the Blu-Ray, in exchange for me hosting and blogging about a viewing party. HAH! 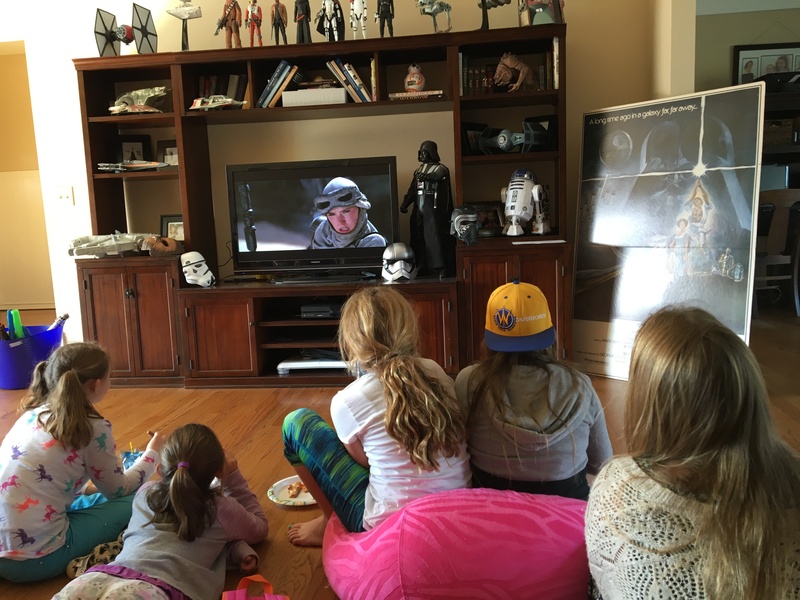 The joke was on them – as if I needed to be bribed to host a Star Wars viewing party. 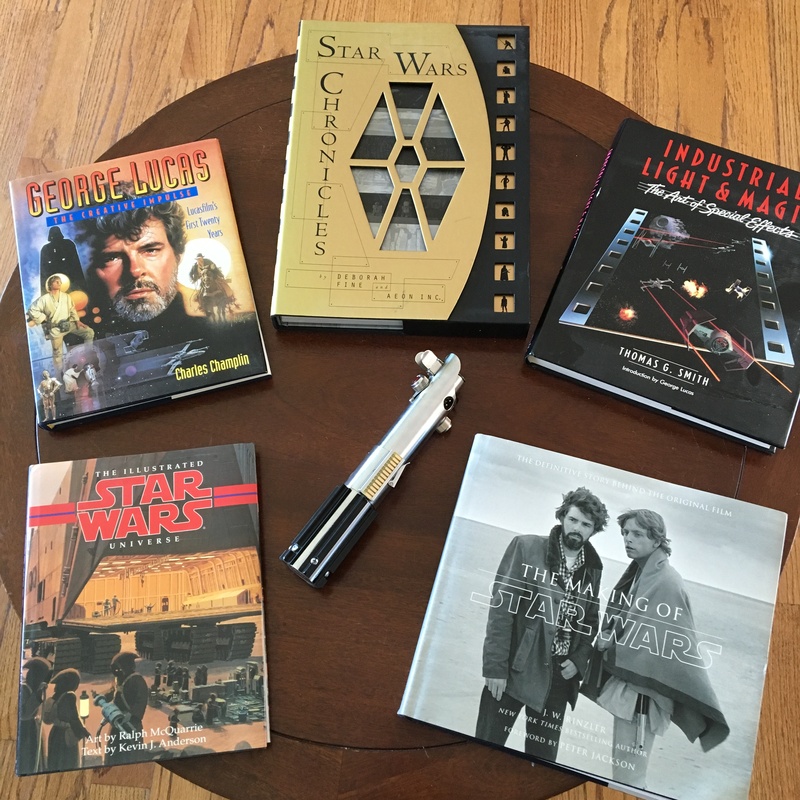 The plan was for the goodies to arrive the Thursday before the digital download release of the movie (Friday, April 1st), host the party and write a blog post about it before the hardcopy release (today). 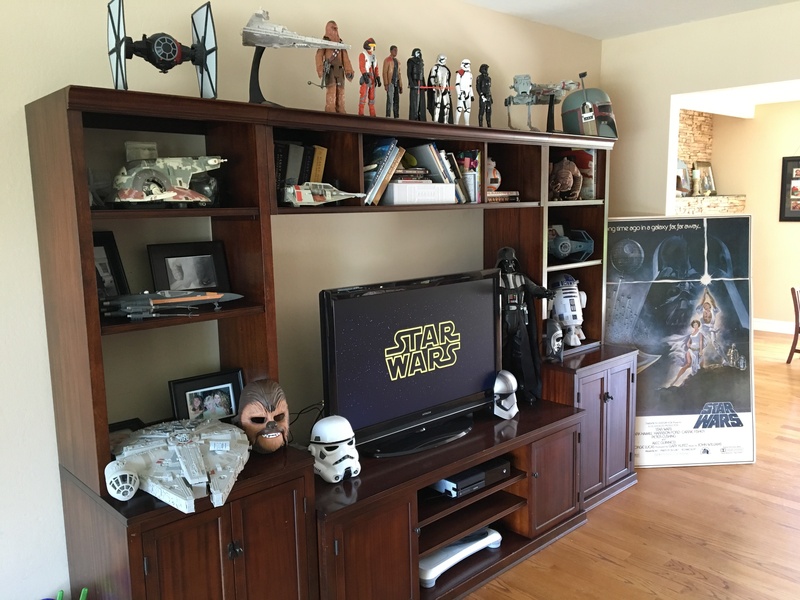 What my house would look like if I was single. 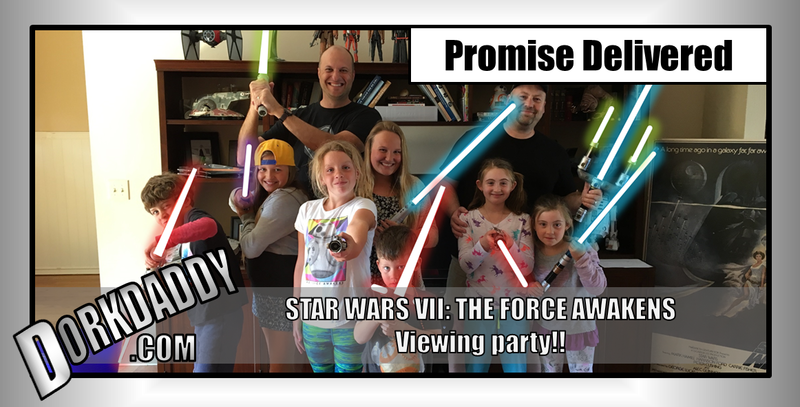 So naturally I tapped into the local dorky-dad network, inviting a few friends and their kids over for a Saturday afternoon viewing party. The date was cleared with UnDorkMommy. The invitations were sent. RSVP’s were received. The only thing left was the receipt of the magic package from the Star Wars people themselves. 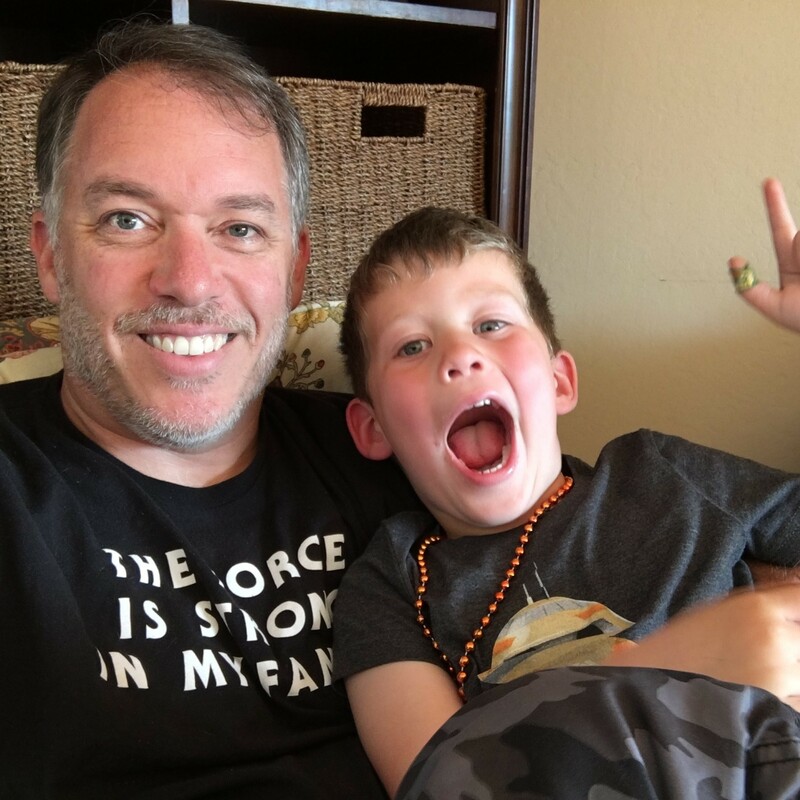 As these things go, when bloggers are part of a big promotional campaign like this one, the typical pattern is that the east coast dads get the packages before the west coast dads do. It’s sort of fun to watch in real time over social media the packages work their way west as they arrive on the doorsteps of my colleagues. Fandads.com out of Chicago and Dadncharge.com out of Pensylvania respectively posted these pictures early on the 2nd, letting the rest of us know what we could expect when the box arrived. That’s OK. I’m on the west coast and it takes a little longer for these things to get out here. The party wasn’t until Saturday. Plenty of time. Friday came and went exactly the same, and after the mail lady sadly shook her head at me on Saturday morning “Nope. Sorry, still no package for you” it was clear that Star Wars Santa wasn’t going to visit before the appointed party time. 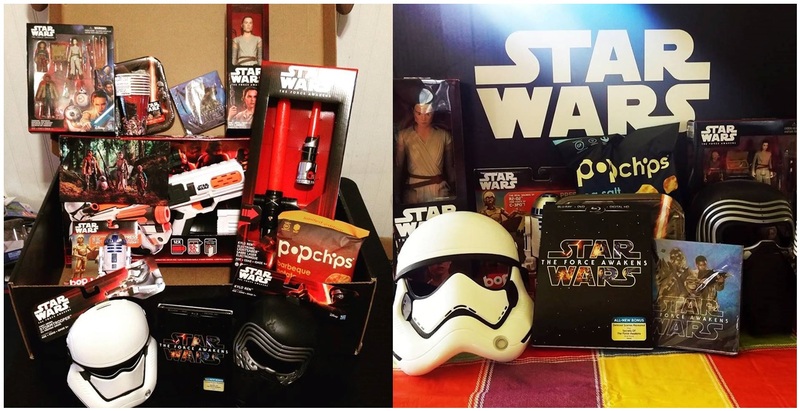 Lunchboxdad.com, also from California, reported that the Star Wars goodie box he was expecting never materialized either, and it looked like his viewing party was off. But I am DorkDaddy after all. I have a reputation to uphold. 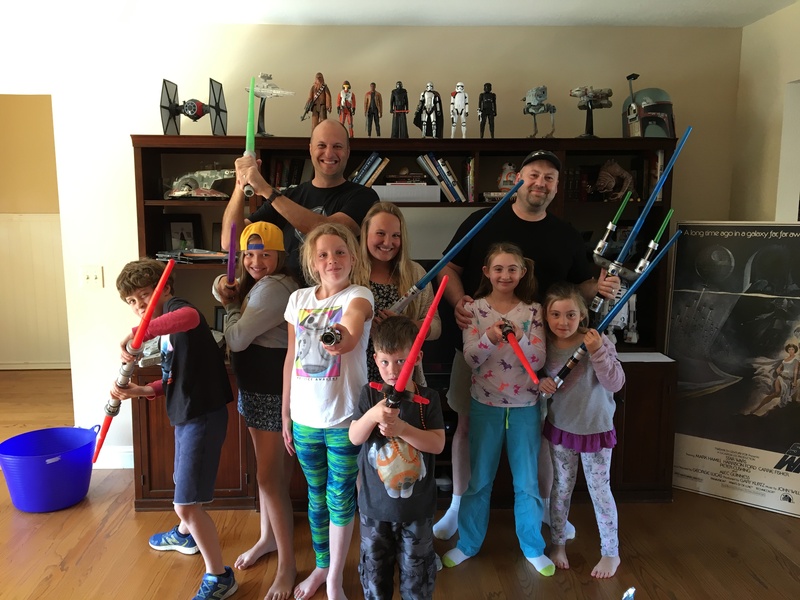 I couldn’t let a little thing like no Blu-Ray get between me, my fellow dorks, our kids and Star Wars viewing amazingness!! So up in the attic I went to pull down all the stuff UnDorkMommy typically won’t allow in the house otherwise. The boys had a ball helping me decorate the living room into what it would probably look like if I was a swinging bachelor. A veggie platter from the store and a pizza delivery took care of the snacks. All we needed was the movie itself. One digital download later and BAM! It was party time. Where’s Ray? There she is. Needless to say, as you can see from the pictures, the party was amazing! 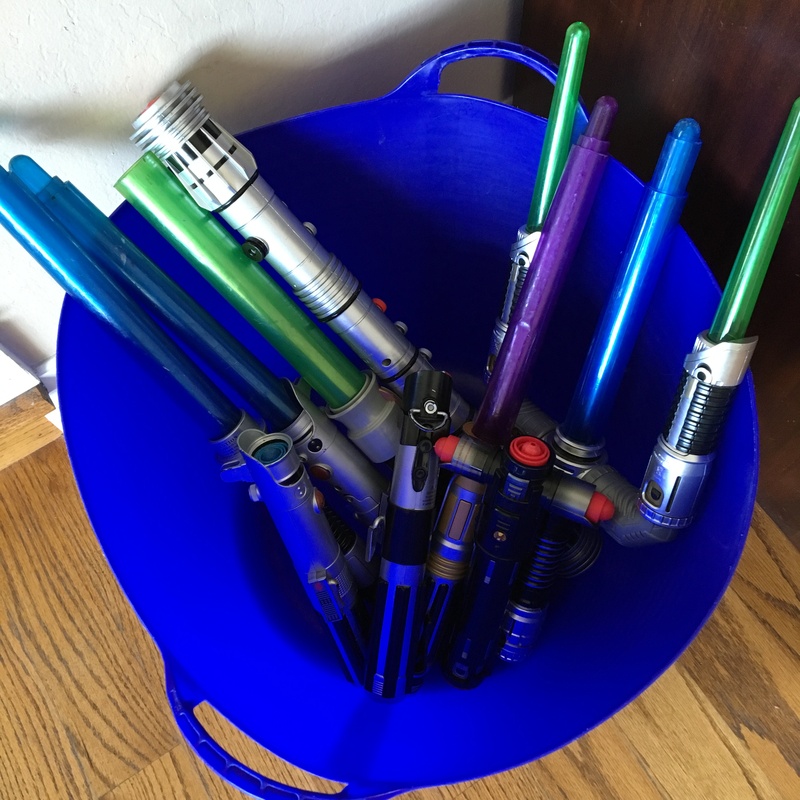 The Force is indeed strong in my family. …and that makes us all winners.